I have a small number of copies of the Spanish Civil War book ‘A Bullet Saved My Life’ available for sale. The book, which was a Morning Star book of the week when it came out in 2006, tells the story of Welshman Bob Peters and his adventures in getting to and fighting in the war. 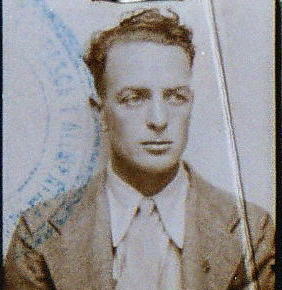 Bob became politically active while working as a deckhand in Canada and underook an arduous journey to fight in Spain. While working as a runner for an International Brigade commander, he was shot in the back but recovered to work as a dispatch rider. The book features more than 30 black and white photographs and copies of civil war documents, a foreword by Rhodri Morgan and a preface by Welsh International Brigader Alun Menai Williams.